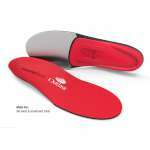 By taking the legendary Superfeet deep heel cup and shape of their super popular orthotic shaped insoles and adding an insulating thermal layer, foil fore foot and Outlast treated top cover, then the result is these Superfeet REDHOT Insoles, ideal for keeping your feet warm, well supported and comfortable while wearing ski and snowboard boots as well as other large volume winter boots. 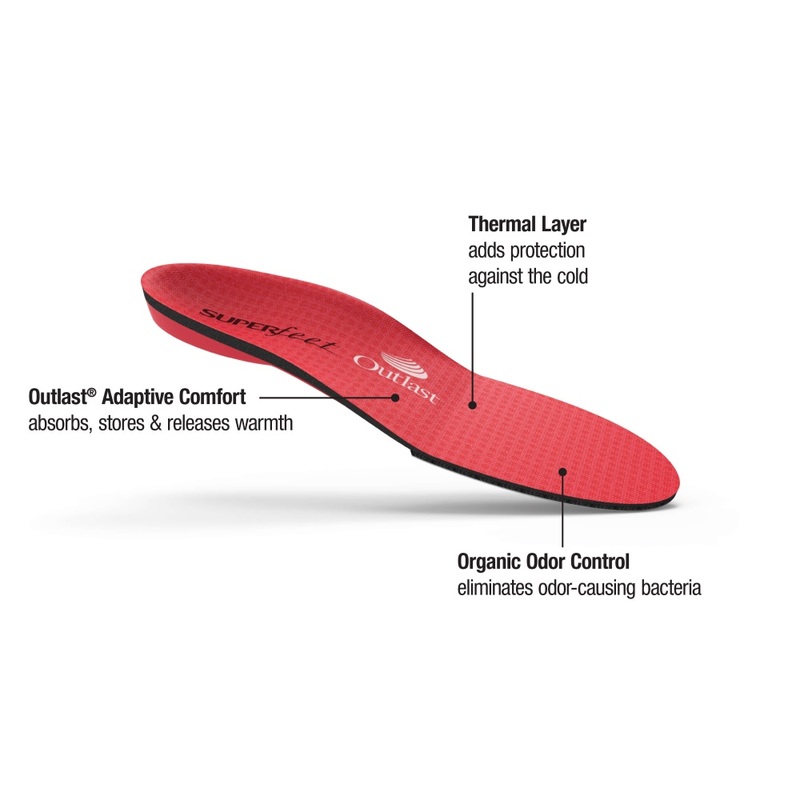 Thanks to the high volume of these Superfeet insoles, you can achieve a more snug, stable fit with less shifting and fewer pressure points or hot spots so you can enjoy a more personalised and secure fit while enjoying the slopes this winter! 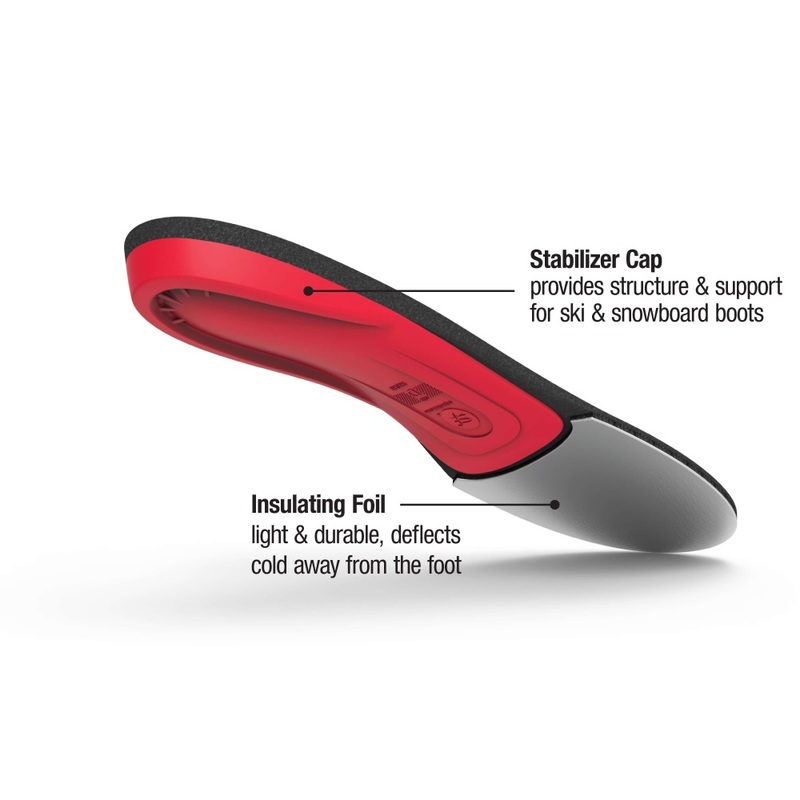 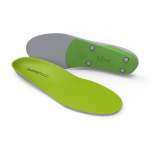 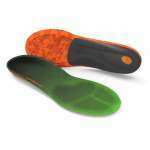 Superfeet have been making custom insoles for ski boots for well over 40 years, and we love the way that they have used advances in technology, as well as old tried and tested methods too, so that these insoles are able to deflect cold away from your feet while absorbing, storing and releasing warmth to give you extra protection against the cold.